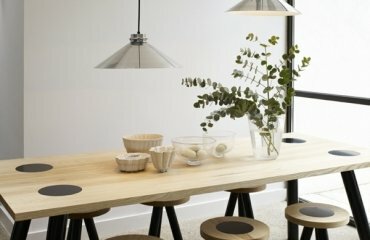 We will show you 50 Scandinavian dining room design and furniture ideas which can be your inspiration for your own unique design. 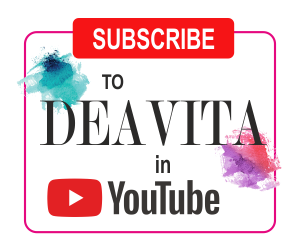 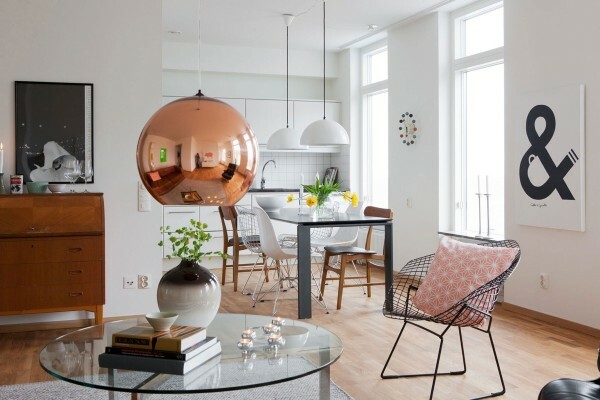 Discover a symphony of simplicity and elegance, color and texture combinations, furniture and decoration ideas which will help you create a pure and simple decor. 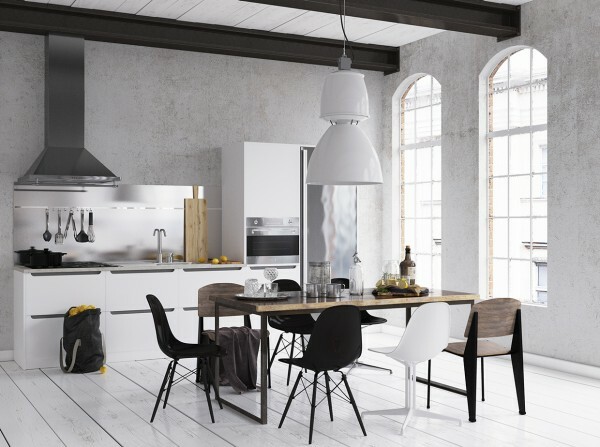 Scandinavian style originated in the second half of the 20th century in the countries of Northern Europe: Denmark, Finland, Norway and Sweden. 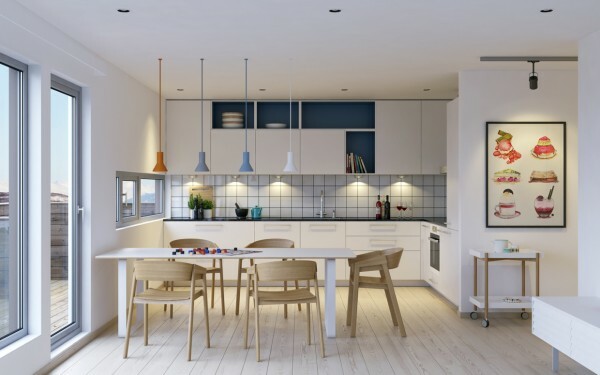 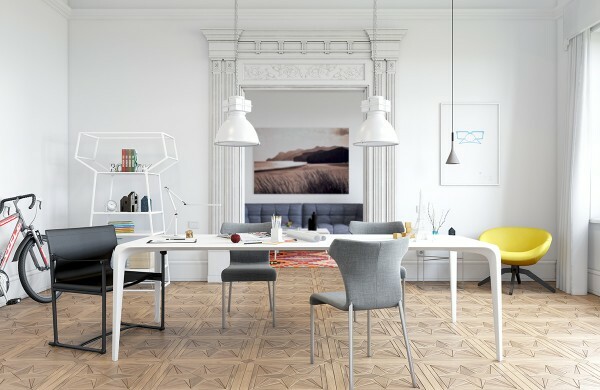 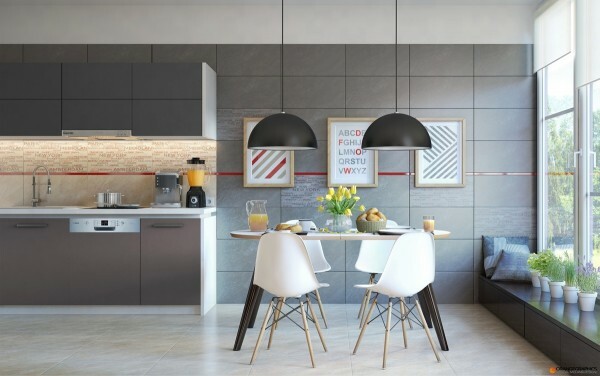 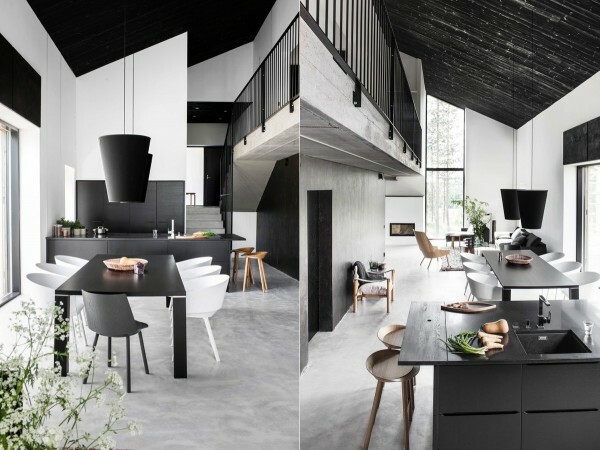 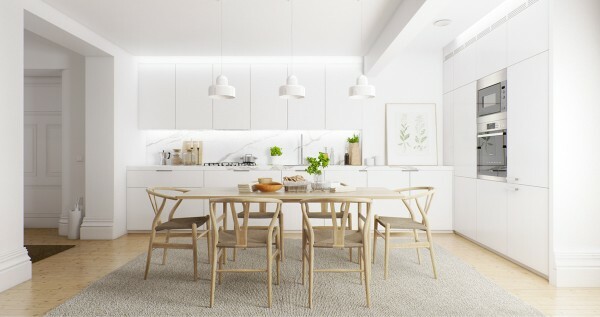 The distinctive features of Scandinavian interior are light colors, natural materials, a minimum of furniture and as much natural light as possible. 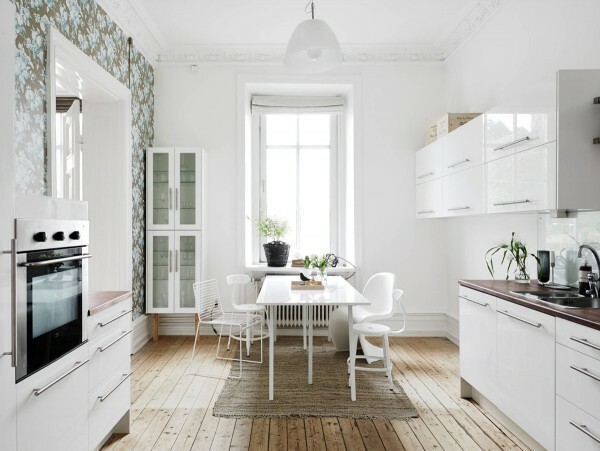 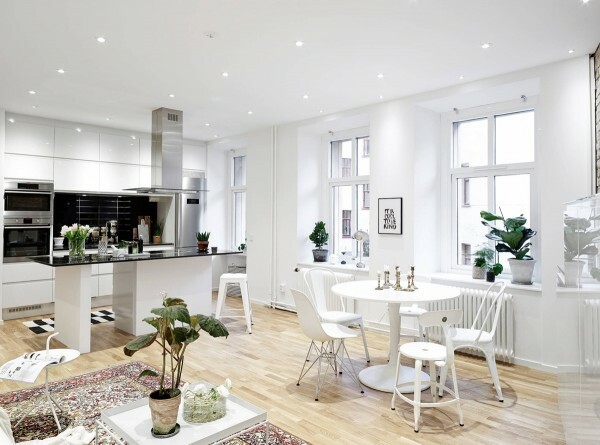 Scandinavian style stands out among the rest for its simplicity and at the same time elegance. 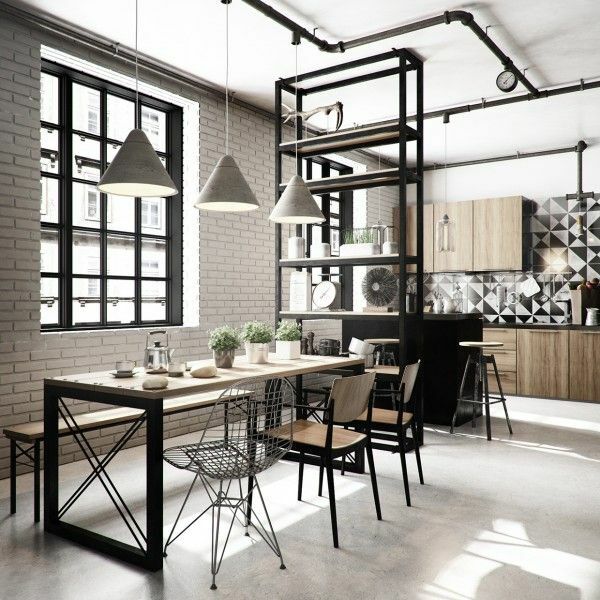 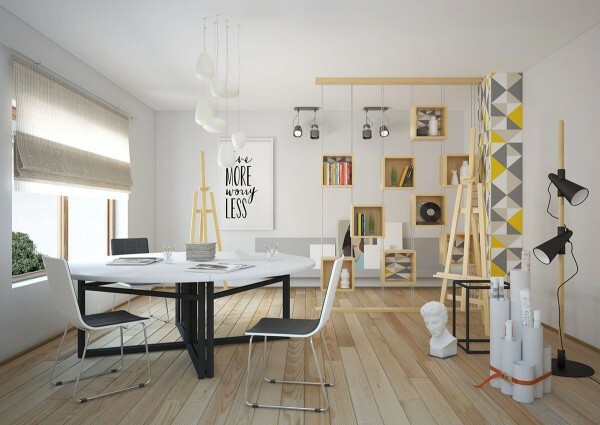 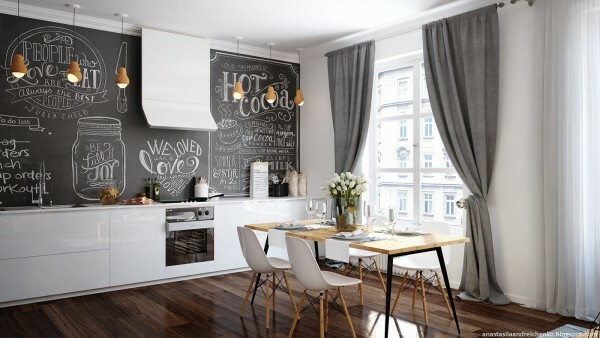 The design style is suitable for large and small rooms, so almost any apartment can be decorated in Scandinavian style. 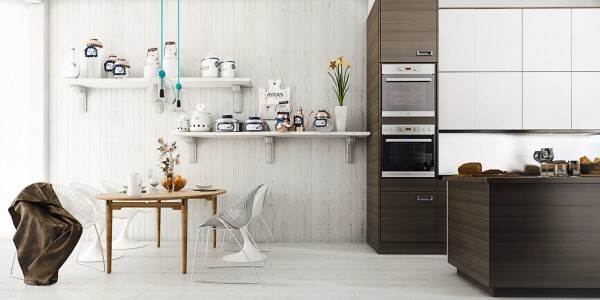 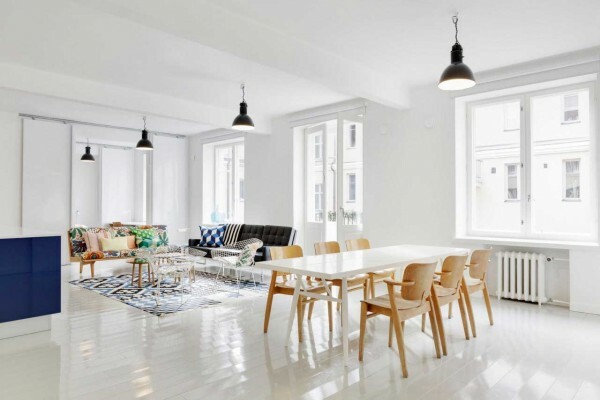 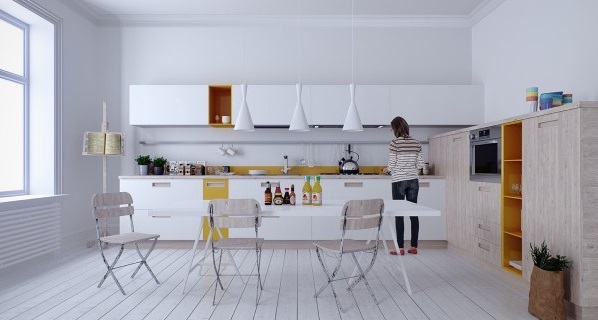 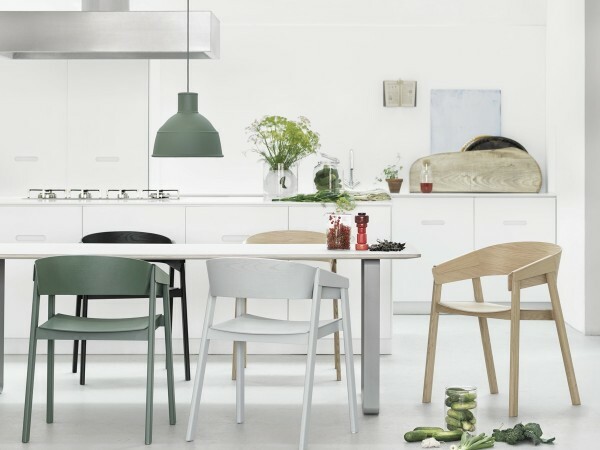 Nordic design features mostly white, light shades of green, brown and beige. 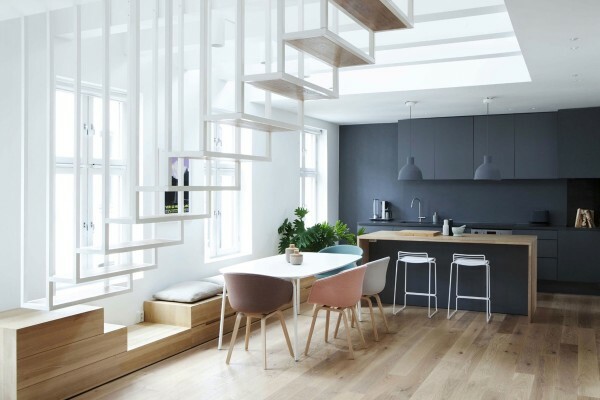 Other colors are used primarily as an accent. 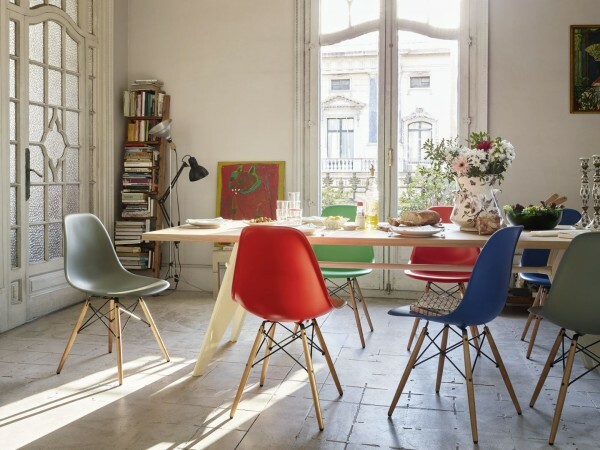 Among the most popular combinations are blue or cherry red and white. 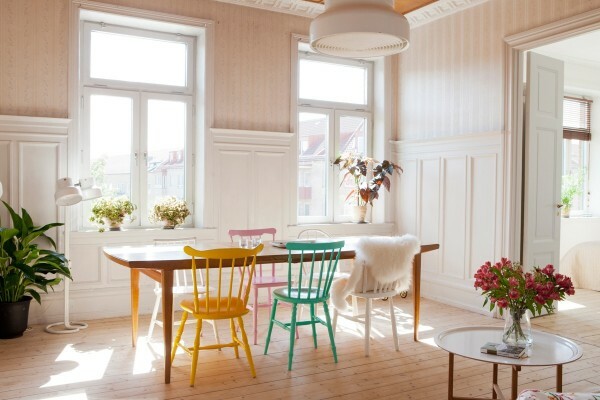 You can also use other colors – soft muted green, various shades of gray, amber-yellow. 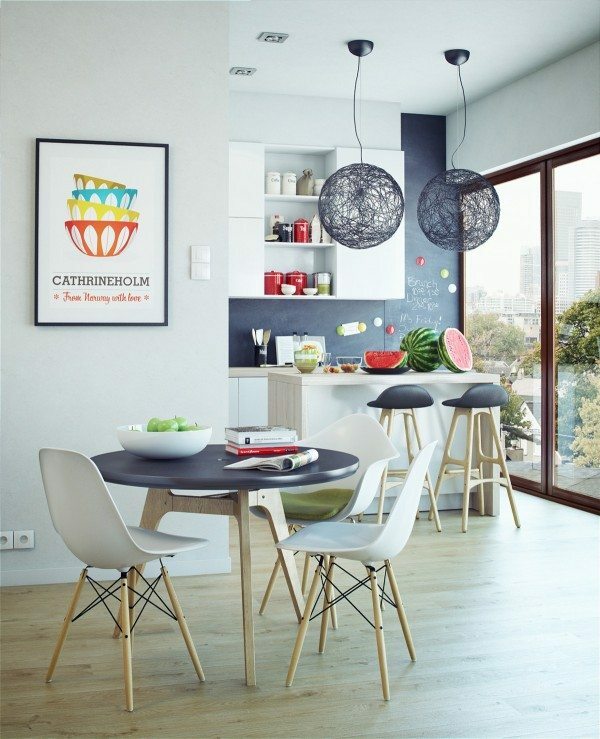 The mix of warm colors with white creates a feeling of a sunny day in the room, despite the weather outside. 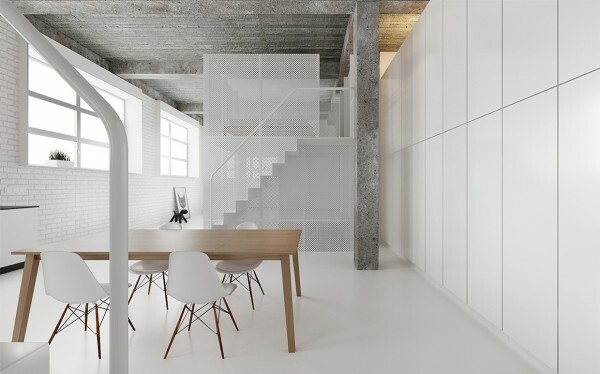 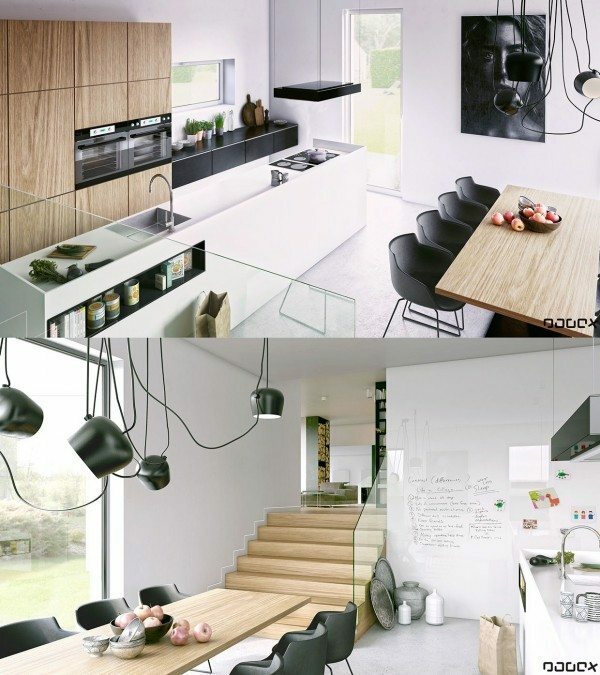 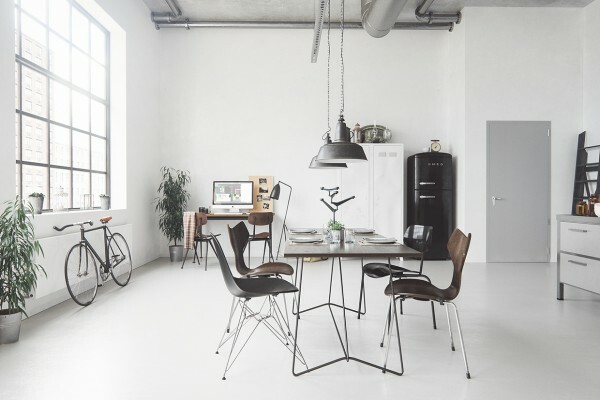 The classic contrast of white with all shades of black is also quite trendy, mostly in modern interior designs. 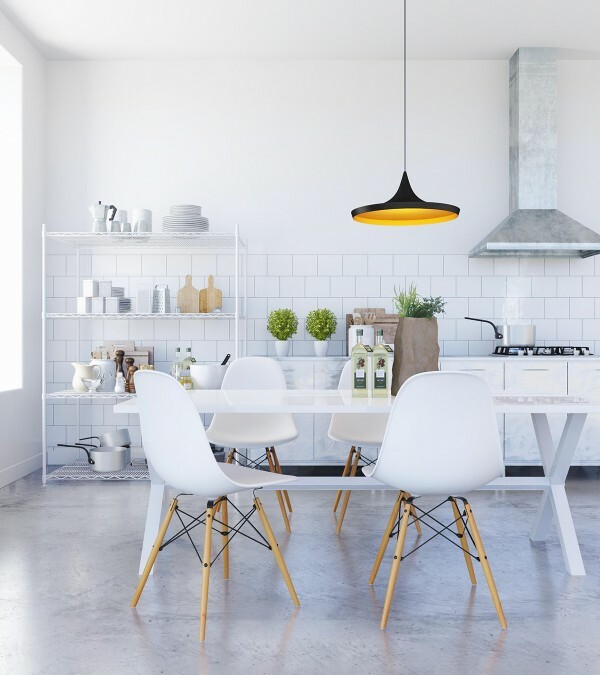 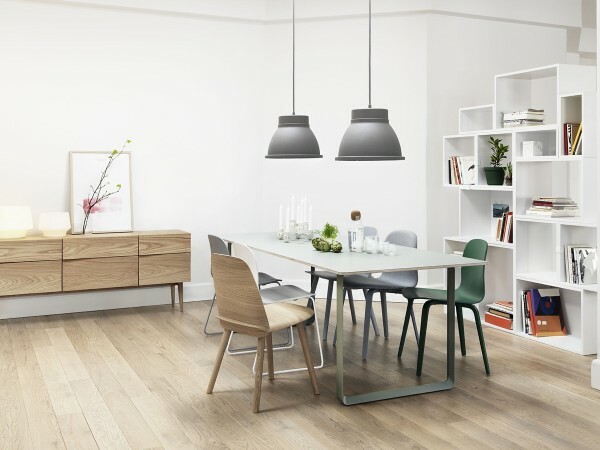 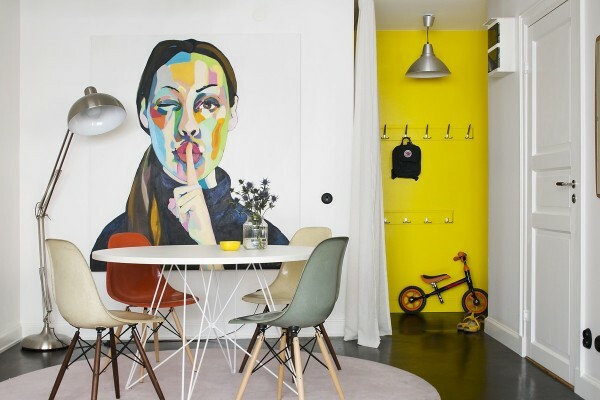 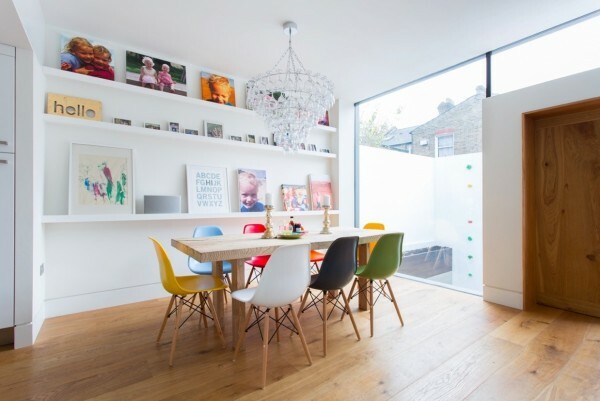 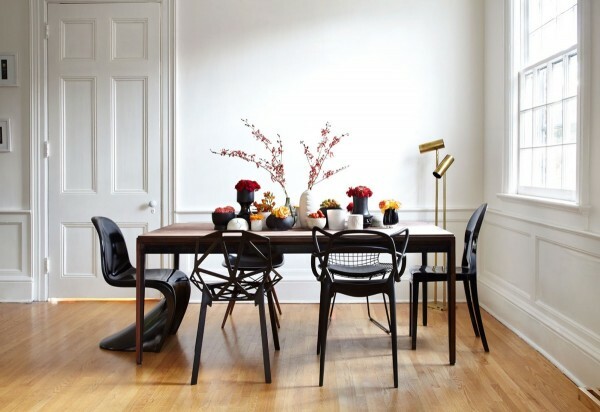 When choosing furniture for a Scandinavian dining room you should follow some guidelines. 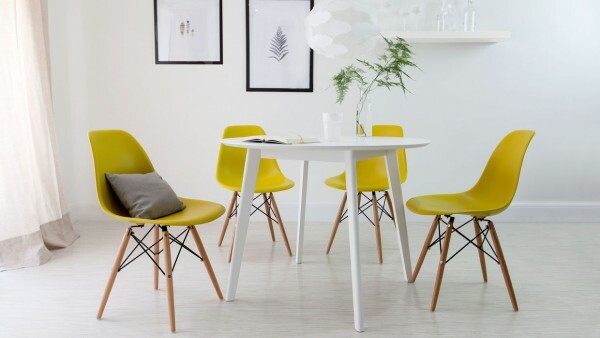 The furniture for a room in Scandinavian style is simple, elegant and comfortable. 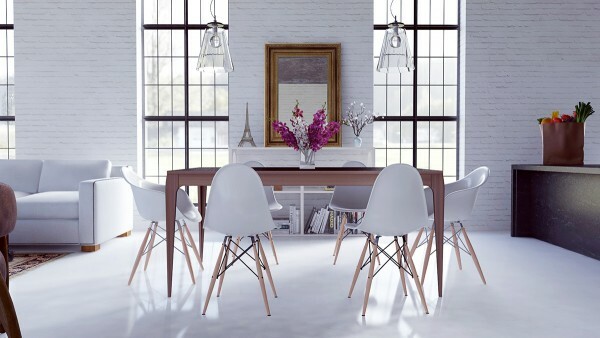 First of all – choose the most important elements – tables and chairs. 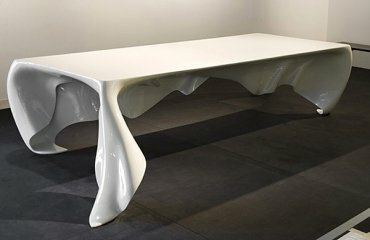 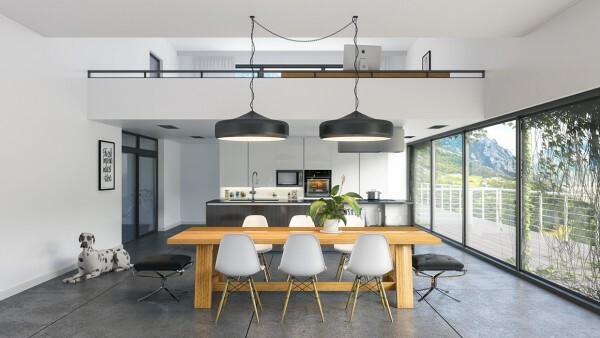 Furniture is characterized by functionality and multi-functional furniture is typical for the style so an extendable table, for example, will be a good choice. 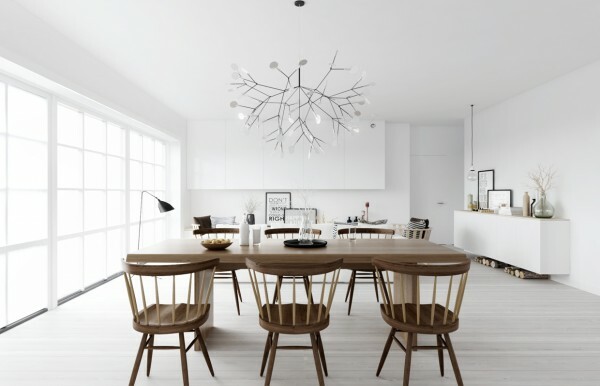 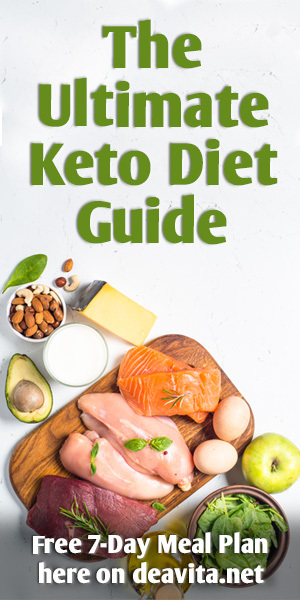 The furniture should be in light colors and made of natural materials that is why the most commonly used materials is hardwood which looks as if it never was treated. 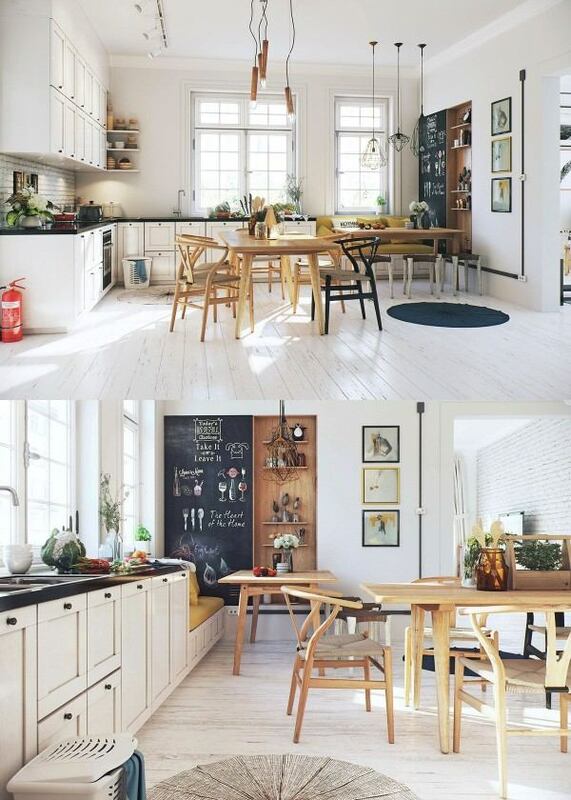 Open shelves, sometimes used as a room divider are also quite typical for the style. 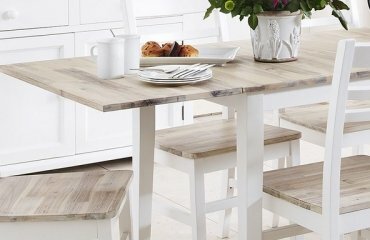 Scandinavian style dining tables are made from fine woods like oak, walnut or ash,often combined with quality finishes or metal legs. 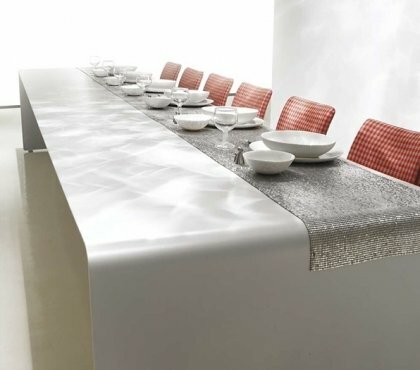 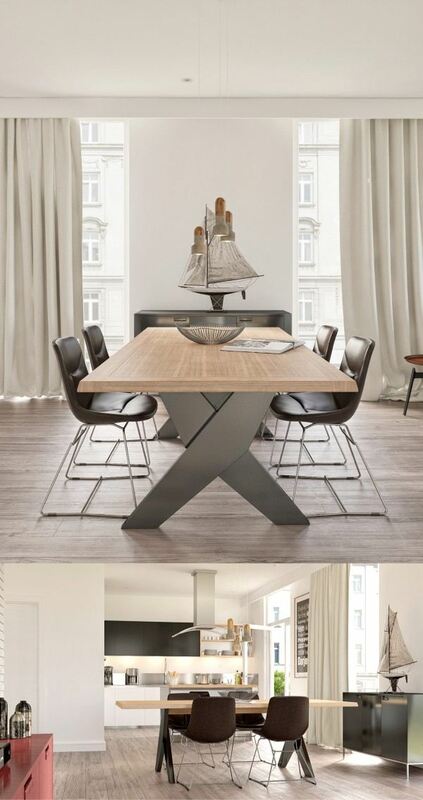 With minimalist and clean shape, the tables are simple, elegant and fit perfectly in modern interiors. 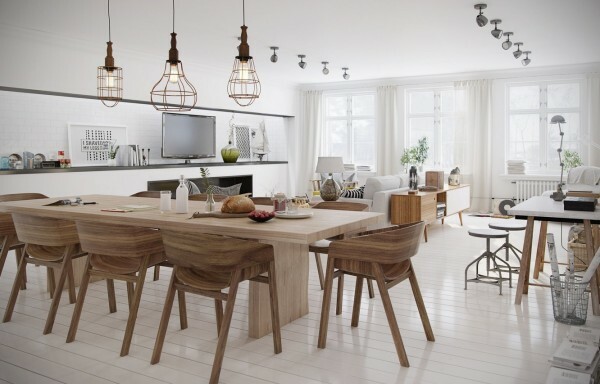 Scandinavian style brings softness, warmth and sophistication to your home. 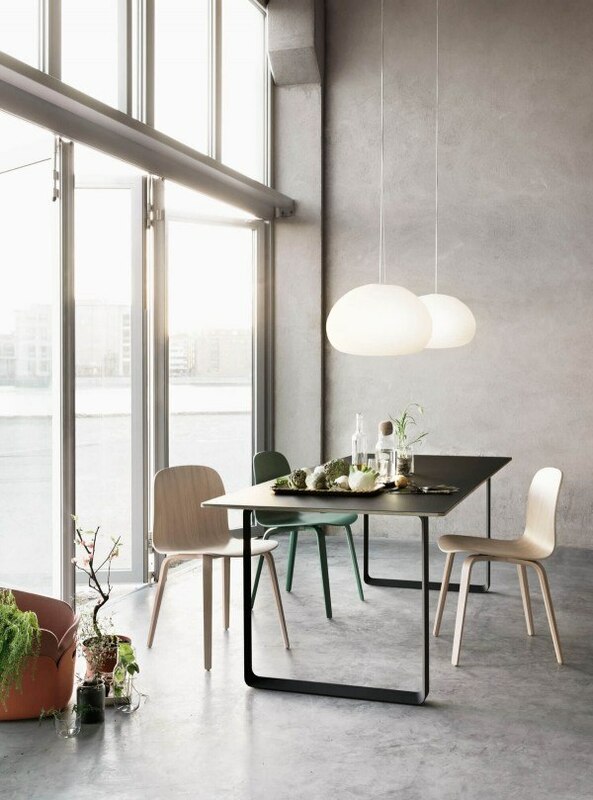 The basic materials for Nordic design are stone, wood, ceramics and glass. 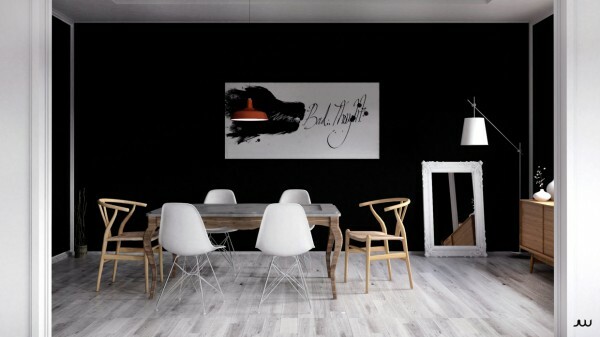 Walls are white, and sometimes an accent wall in black can be added for a modern appearance. 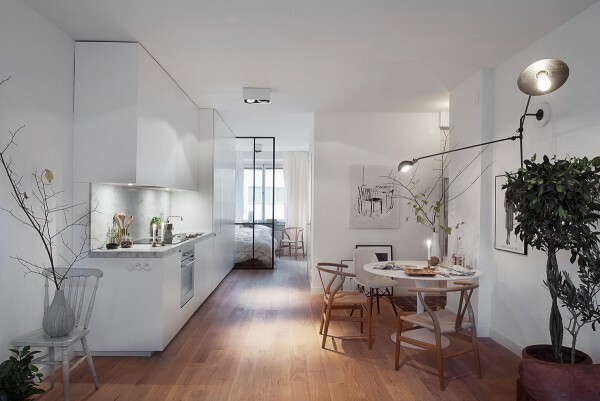 Flooring is mainly natural wood – birch, pine, beech and other light species and if painted, it should be only in one color. 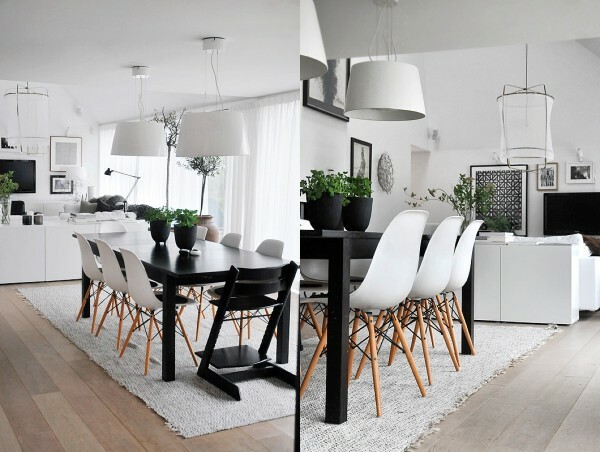 Accessories in Scandinavian dining room interior are limited to potted plants, rugs and paintings. 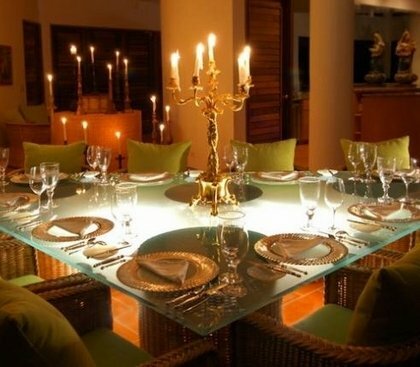 Special attention should be paid to lighting. 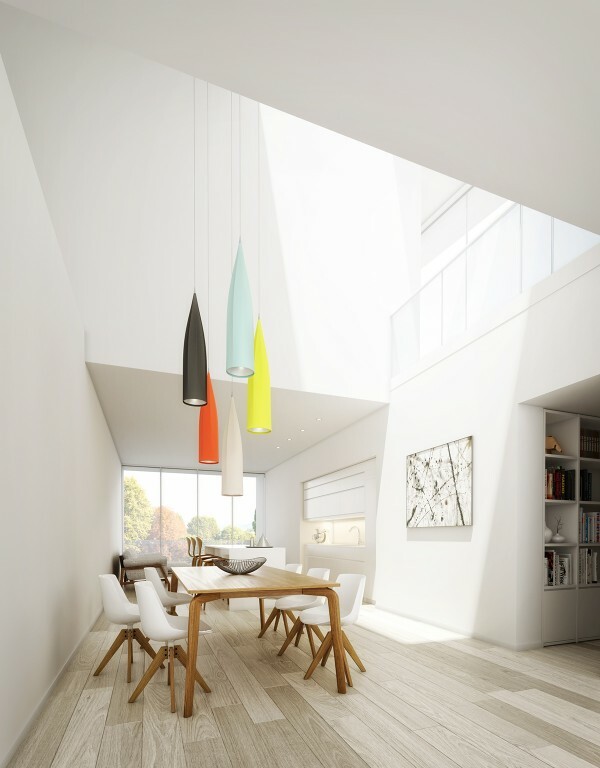 As we said, the light should be as much as possible. 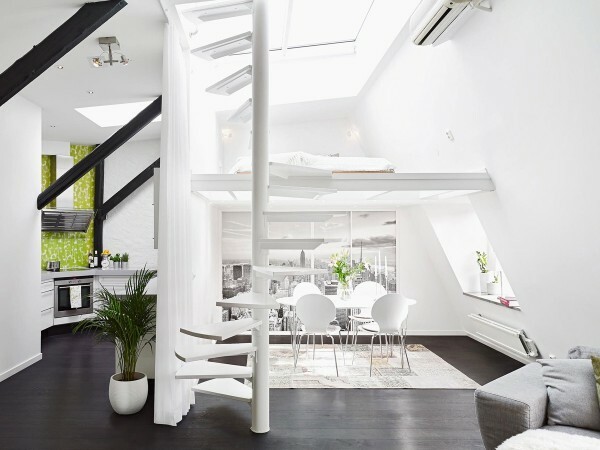 That is why the windows are large with no blinds (sometimes translucent curtains are used). 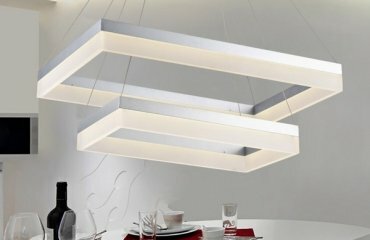 Artificial lighting features floor lamps, wall sconces, large chandeliers, pendant lighting fixtures, etc.